Bottom club Stenhousemuir took a step towards survival with a 3-1 defeat of 10-man Peterhead at Ochilview Park. Striker Rory McAllister saw red for abusing referee David Munro after first-half goals from Alan Cook and Mason Robertson had put the strugglers in front. Jordan Brown pulled one back for Peterhead minutes after the restart, but veteran striker Colin McMenamin restored the Warriors' two-goal cushion shortly after the hour mark. 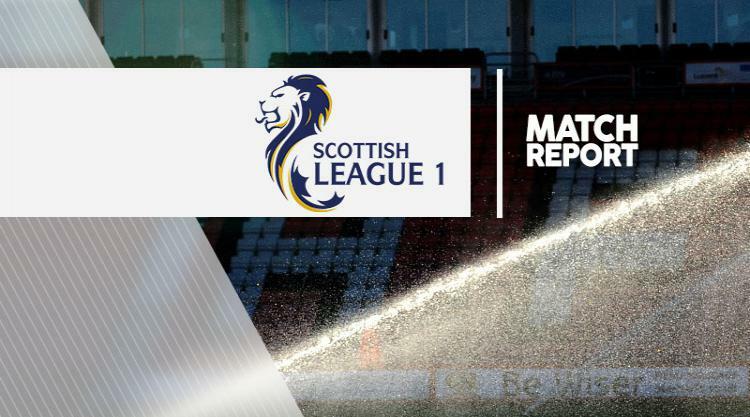 Stranraer came away from their action-packed trip to Airdrieonians with a much-needed 2-1 victory. Craig Morgan headed the Blues in front early in the second half, but soon after his team-mate Morgyn Neil was dismissed when he hauled back Jack McKay in the area. Visiting goalkeeper Cameron Belford was equal to Iain Russell's penalty, however, and the 10 men secured the three points when Ryan Thomson netted 20 minutes from time. Andy Ryan's late free-kick halved the deficit, but could not prevent Aidrie slipping to a third successive defeat, while Stranraer climb to seventh in the table. Livingstone extended their lead at the top of the table to seven points with a 1-1 at Queen's Park. Scott Pittman put the leaders ahead early on before Dario Zanatta equalised for the hosts. Chris Duggan scored both goals, including a stunning volley, in East Fife's 2-0 home win against struggling Albion. The result leaves Albion just one point above Stenhousemuir after five matches without a win, whilst East Fife have leapfrogged Aidrieonians into third. The match between Brechin and second-placed Alloa was postponed due to a waterlogged pitch.